Each year the prizes for “the best designed books from all over the world” are awarded at the Leipzig Book fair. A report from the award ceremony, including an interview with the author and the designer of the prize-winning book. Amidst stands of various art academies, 20 meters from the “Antiquariatsmesse” (antiquarian fair) at the heart of the buch+art section of the Leipzig Book Fair, lay the stand of the Stiftung Buchkunst: a German foundation with the sole goal of promoting excellence in book design. On Friday the 18th of March, the stand was changed into a small theater, accommodating the award ceremony of the “Schönste Bücher aus aller Welt” competition (“The best designed books from all over the world”). The 14 prizes (Golden Letter, Gold medal, 2 Silver medals, 5 Bronze medals and 5 Honorable Mentions) are awarded annually since 1963 and are considered the most high-ranking awards for book design worldwide. A total of 596 books from 32 countries were sent in for the competition, all of them previously judged and awarded in their respective countries. From these 596 books an independent international jury selected the 14 most beautiful and exemplary in design, conception and manufacturing. Although this is an international competition, 13 of the 14 awards went to European books: four went to the Netherlands, three to Germany and Switzerland respectively, and the Czech Republic, Poland, Austria and China received one each. This raised the question whether book-design is indeed more important in western countries, or if the composition of this year’s Jury, consisting of six Europeans and one Australian, had a deciding influence. Whatever the answer to that question is, this year’s winner of the Golden Letter is a beautiful book named: “Atlas of the Conflict”. But the jury ruled thus only after receiving an email from Shoshan; originally the prize was awarded solely to Grootens, leading to a conflict between Shoshan and her publishers. To award both is an elegant solution and a fair change, because – as is a central value in modernistic design – form follows function. Design and content go hand in hand, when executed well, amplifying another to great height. Nowhere is this clearer than in “Atlas of the Conflict”. The main components of this book are the innumerable maps and graphs documenting the becoming of the state Israel. Malkit Shoshan, author of the book, started this project in 2001 as an architecture student in Israel. “During my studies, I developed a need to understand the events that led to the formation of Israel and later, to take a personal and professional position in it. […] I am an architect, I design space. 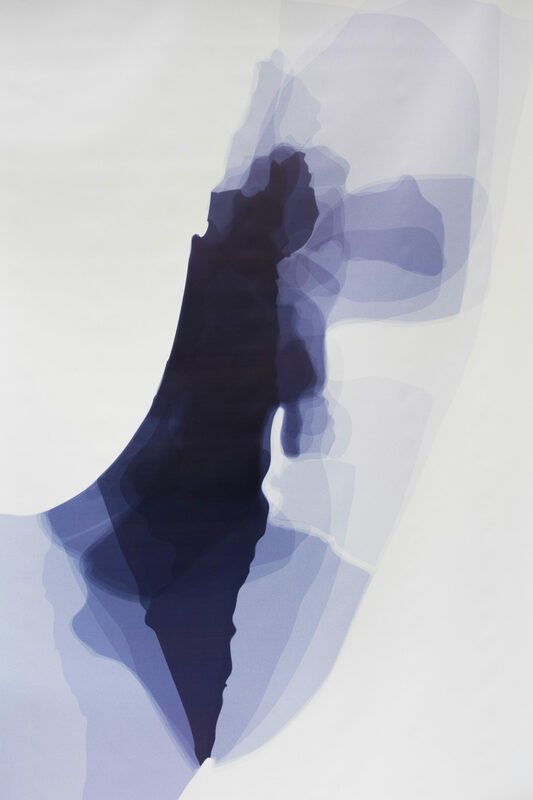 But one cannot design space without relating to the space and its history.” This drove Shoshan to collect visual materials and draw maps documenting the spatial movements of Israel: she made a territorial analysis, shaped by a complex geopolitical, ideological and human context. Study-in.de asked Joost Grootens, designer of the book, how he got involved in this project, and how he proceeded with the design: “Shoshan approached the publisher and then the publisher approached the printers and me because we had already worked together successfully on a number of different atlases”, Grootens explains.